Knife laws in California are not that friendly as the previous ones. There are different kind of knives which are illegal to carry, conceal or even own. California knife laws can sometimes be confusing and quite inconsistent. The laws have been changed several times. To make all these clear to you, this article may help a lot. We have divided the laws into three sections on behalf of its legality. In California, there are knives that are never legal, knives that may be carried openly but not concealed and the rest is knives that may be carried openly or concealed. The code 16590 states the generally prohibited weapons as well as knives thoroughly. (a) An air gauge knife, as prohibited by Section 20310. (c) A ballistic knife, as prohibited by Section 21110. (d) A belt buckle knife, as prohibited by Section 20410. (h) A cane sword, as prohibited by Section 20510. (i) A concealed dirk or dagger, as prohibited by Section 21310. (j) A concealed explosive substance, other than fixed ammunition, as prohibited by Section 19100. (m) A leaded cane or an instrument or weapon of the kind commonly known as a billy, blackjack, sandbag, sand-club, sap, or slung-shot, as prohibited by Section 22210. (n) A lipstick case knife, as prohibited by Section 20610. (o) Metal knuckles, as prohibited by Section 21810. (r) A nunchaku, as prohibited by Section 22010. To point out the statement, the followings can be mentioned as the illegal, banned or prohibited ones. Switchblades and other automatic knives (more than 2 inches) are banned. Cane Swords, belt buckle knives, lipstick knives, pen knives, air gauge knives and all kind of disguised knives are banned. Metal knuckles, slung-shot, black-jack etc. are banned. And undetectable knives are banned too. Switchblades having the blade of more than two inches are illegal in California for carrying openly, selling, transferring or anything related to these. (a) Possesses the knife in the passenger’s or driver’s area of any motor vehicle in any public place or place open to the public. (b) Carries the knife upon the person. Switchblades are legal if they are less than 2 inches. As well as Balisong or butterfly knives are kinds of switchblades. But you can buy a Balisong or butterfly knives over 2 inches. In case of that, do not carry it anywhere; leave it in your home as your collection, that would be fine. According to California knife laws; there are some knives that can be carried openly legally but cannot be concealed, that would be illegal. • You can carry dirks, daggers, and stilettos openly anywhere you want and for this, you won’t be punished. But if you conceal this sort of knives, that would be illegal because these knives are very dangerous and used mostly for stabbing or hurting people. 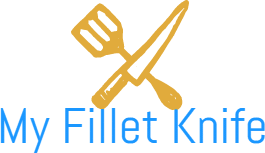 • Chef’s knives, ice picks, knitting needles, and scissors are also included in Dirks and Daggers. These knives can cause serious injuries by stabbing. So, these knives are illegal when you carry those concealed. But you can carry openly on your hip or waist. *In fact, carrying or breaking the rules of California knife laws, up to 36 months that is 3 years in prison and/or fines up to $10,000 and in between are the main punishments. There are some knives that can be carried either openly or concealed. These knives are legal. Other utility knives or knives that are used for hunting and fishing. In California, there are no particular length limits of the blades. But 2 and 2.5 inches are the length limits of blades when it is about the switchblades. You can carry knives (that are legal) of any blade size you want. California’s school grounds and campuses or buildings and universities are weapons as well as knives free zone. But you can take knives that are less than 2.5 inches in blade size. It is written in the California penal code section 626.10, you cannot bring or possess any ice picks, razor blades, box cutters, dirks or daggers and other dangerous knives on school, kindergarten, college or university premises. Imprisonment of not exceeding 1 year in a county jail. It is illegal to bring or possess a knife in any public or state local buildings. In the penal code 171b, it is strictly mentioned as a crime and therefore you will be punished. Switchblades, knives that are over four inches of the blade and any illegal knives in California knife laws are prohibited in public or state buildings. The code 171b describes the details about it. Imprisonment for not more than one year in a county jail or in the state prison. What to do when you are charged? If your knife is less than 2.5 inches and if your knives such as dirk or dagger are not ready to use as a stabbing weapon or a deadly weapon, you will not be charged even after carrying or concealing one. You will have to learn the legal definitions of prohibited knives first. You are not knowingly carrying a deadly weapon or knife that is prohibited in California’s knife laws. But if you are not aware of your knives if those are illegal or not, or if you do not know you are carrying one or if you do not know the characteristics of your knife, then you can have the defense if you are charged. Also, you have to prove that confident that you were carrying those without any wrong intent. Knife laws in California are somewhat tricky if you do not get to know that thoroughly. Other than the knife-friendly states, California has a lot more to study about the knife laws. 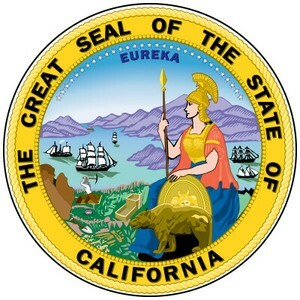 A decent law has been set considering the advantages of the citizens of California. So, if you attempt doing any wrong or crime, it will totally be on your own consent and you will get punished or charged.